Examples vary. On stage at the Cannes Lions, a group of panelists including Alain de Botton and Arianna Huffington said creative lives “require suffering.” At the same event, Michael Kassan, CEO of Medialink, spoke on the main stage about “The Art of the Hustle” this year. Regularly, agency employees are asked to make sure they have a “side hustle” on their resumes they can point to as proof that they can go above and beyond. Two agency recruiters said that they’ve seen more mentions of “hustle” as one of the qualities agencies are looking for, especially in more junior employees. Hustle is everywhere. It’s on t-shirts that read “Eat. Sleep. Hustle”; it’s on tote bags sold for $25 on Etsy so it can be publicly known that you don’t just work hard, you have a higher calling. It’s painted on walls inside offices. There’s even an IPG agency named Hustle. 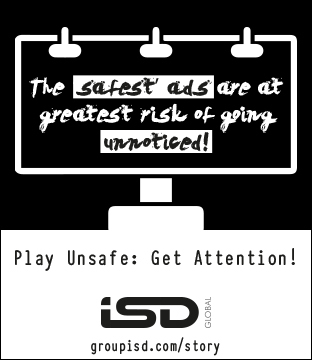 Of course, every industry has its fair share of hustle idolization, but ad agencies and advertising in general are unique, said Eliason, because they operate in a time-based way. “You’re valued at agencies by how many hours you bill, and you work more hours than you actually work anyway.” So you have to show it off and make sure people know you’re working hard and working constantly. Still, there’s a difference between hustle and hard work. Hard work is just that. Hustle denotes something more — for Clark and Eliason both, it’s that outward masochism at play, something about showing people how hard you’re working while not necessarily working hard at all. Agencies also have their own flavor of hustle because traditionally, as a creative, you’re taught that you need to run 100 lines through before you get to anything interesting. “Or you have to put hours and ideation in and throwing things up on a wall,” he added. That’s true, especially in the creative side of the industry, giving people rejection, multiple times, is a known tenet. Ad legends like Jeff Goodby, for example, have openly spoken about how many tries it takes to really get something right. 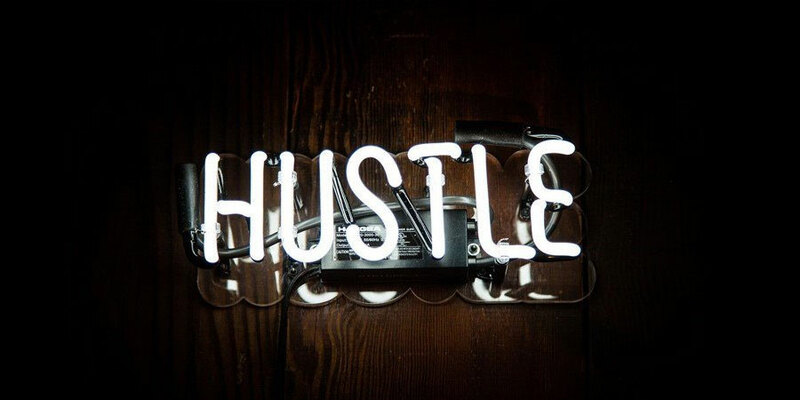 Another reason hustle may be more prevalent in advertising than other industries can be because of the nature of the job, said Tom Goodwin, evp at Zenith. “It’s very hard to be objectively correct and better in our profession,” he said. “It’s not like maths where we come and solve the equation. It’s mushy.” In those instances, hustle often matters because otherwise, if you’re not always struggling, how will people know you’re working hard? “Our accomplishments are subjective, making the notion of a personal brand much more prevalent in our industry than others,” said Goodwin.